As it is my first blog of the year, I’d like to wish you Happy 2019. Following that, I did a poll on Twitter and Instagram to get a broader opinion on whether people feel that dating apps could increase the chances of finding a relationship and these were the results. Interestingly, the results are similar on both platforms with the majority thinking not, and I can understand why. 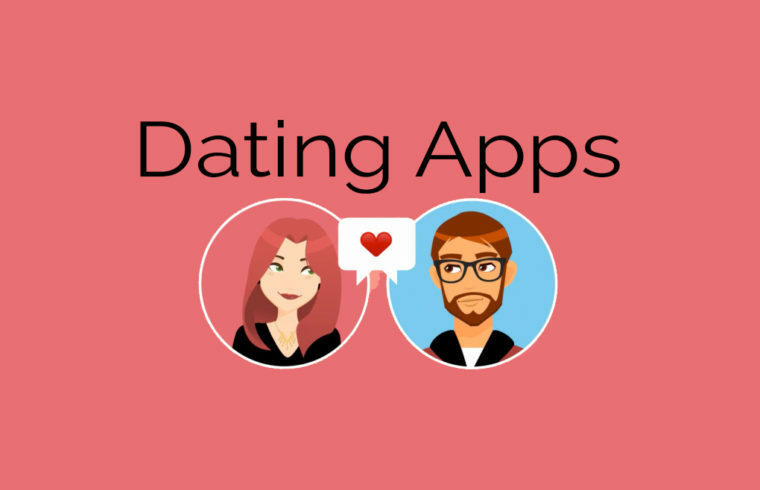 From the conversations I’ve been having with app users, I’ve found that using dating apps to find a relationship opens one to disappointments, which causes many to give up or question their reasons for using the apps. Another thing that I would find annoying about using these apps is matching with someone I find attractive, build a connection but upon meeting them, they are far what or how I expected them to be. It could be them not looking as beautiful in person, or not as impressive. I get that people set up their profiles and chat in a way that creates the perception they others to believe. The thing is that when talking with people behind a screen, we build an image in our heads of what they would be like in person and have expectations. I can’t imagine how disappointing it is meeting up with someone you had high hopes for but they turn out to be bland and uninteresting in person. After multiple dates with the same outcome, I guess it would be fair to question if dating apps are worth using? Something else that I feel put people off the apps is the waiting for a response from a match. Matching with someone, then approaching them with your best and wittiest opening line, trying to stand out but you get blanked. I would personally find that annoying. Things like that lead to self-doubt and loss of confidence in oneself if you are not getting dates. Together, all these points give compelling reasons as to why people would give up on dating apps without waiting to get anything out of it. On a more positive note, I interviewed three people who met their partners on dating apps. I am sure luck and right timing played a part in their success. I also feel some things could help increase your chances of finding a relationship using the apps or at least, encourage you to keep using the apps until you meet someone that wants the same thing as you. I feel that people register on these apps having high hopes they would find someone that wants something serious with minimal fuss. Regrettably, this has not been the story for the majority. I have heard of many horrible date experiences. It appears that the people getting the most out of these apps are the open-minded ones. To be blunt, whether you meet people on an app or in person, you would probably come across douchebags. I would suggest the approach of taking things as they come, not putting pressure on yourself or the date by seeing every outing as ‘this has to be the one.’ Instead, see it as a chance to meet someone new, have a great time and build a friendship. For all the negativity around dating apps, one definite positive is that they allow you to meet people outside your usual circle. In my last post, Emilia who met her partner on Tinder was saying she would not have met her partner in a ‘million years.’ if not for Tinder. Rather than going on a date and being a detective trying to figure out your date is the one, which could leave you open to manipulation because you’d come across desperate. I feel it’s much more fun to show interest in the person and get to know them. You can try new things with new people, and if it does not work out, you don’t have to see them again. I feel this would make the dating process enjoyable and less of a chore. I get that there are lots of people on these apps and due to the convenience and endless choices available, it is easy to feel this is the only way to meet someone. I’d suggest treating these apps as a side hustle and still be open to meeting people when out and about. This way you are not just reliant on the apps to get you a partner, and you can take unsuccessful dates with a pinch of salt. I’ve seen people even when they are among people, are still swiping for a match instead of being sociable. Building a social life around these apps would, in my opinion, do more harm than good. You may have been lucky to find a connection, been on a few dates and all is looking promising. I’d still like to suggest that you tread carefully before investing in them. Take your time in getting to know your date’s personality. I understand we are now in an age that prefers to text rather than talk. I don’t feel you can honestly understand a person’s thoughts and character via written words. Spend time talking and asking the right questions to see if this person is fit for you and both of you are on the same page, both for safety reasons as well as to avoid disappointments. I would say trying to find a relationship on dating apps is like playing the lottery. You never know when it will be your time to win. For most, it probably will not be straightforward, and you might have to deal with some unpleasant experiences, which is part of the dating game whether you meet someone on an app or in person. I feel these apps provide additional platforms to meet people you may not traditional meet so why not make use of the opportunity. Thanks for reading. I want to gain your thoughts and experiences using dating apps. Please comment below.